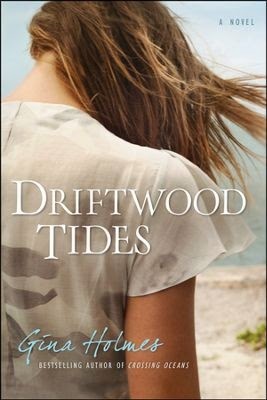 When Holton lost his wife, Adele, in a freak accident, he shut himself off from the world, living a life of seclusion, making drifwood sculptures and drowning his pain in gin. Until twenty-three-year-old Libby knocks on his door, asking for a job and claiming to be a friend of his late wife. When he discovers Libby is actually his late wife's illegitimate daughter, given up for adoption without his knowledge, his life is turned upside down as he struggles to accept that the wife he'd given saint status to was not the woman he thought he knew. Together Holton and Libby form an unlikely bond as the two struggle to learn the identity of Libby's father, the truth about Adele, themselves, and each other. Buy the book HERE. best websites for writers. Her debut, Crossing Oceans, was a Christy and Gold Medallion finalist and winner of the Carol Award, INSPY, and RWA’s Inspirational Reader’s Choice, as well as being a CBA, ECPA, Amazon and PW bestseller. Her sophomore novel, Dry as Rain was a Christy Award finalist. Her latest novel, Wings of Glass has been named as one of the best books of the year by Library Journal and was a SIBA Okra pick and a finalist for Romantic Times’ Reviewers Choice Award. She holds degrees in science and nursing and currently resides with her family in southern Virginia. She works too hard, laughs too loud, and longs to see others heal from their past and discover their God-given purpose. 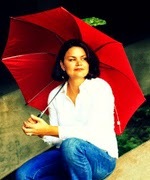 To learn more about her, visit www.ginaholmes.com.